We had a great turnout for this months T-SQL Tuesday Block Party. Coming into this month and knowing that I was hosting, I felt a strong sense of picking a topic that would help others. A topic where sound professionals such as the ones below shared some of their thoughts on the how and the why to learning. One thing is evident to me in reading these posts. You can be the most senior professional in our industry down to someone who is just attending their first T-SQL Tuesday, but one thing holds true ~ the people. All right, with that said check out what the party attendees had to say, a special thanks out to each of them, and I would be amiss if I didn’t mention Adam Machanic (B|T) who with this party marked the 60th (5 years). Appreciate the vision you had 5 years ago Adam. Aaron Bertrand (B|T) – provides a great synopsis of why experience has helped in learning and tapping into Q and A sites. I liked this approach; was pretty awesome to see him write this and also pretty awesome he took the time to share this for others to read while flying from one conference to another. Much appreciated sir. Rob Farley (B|T) – provides a twist on how he learns from others by cultivating and developing relationships. One key piece from his post is “listening” what others have to say. I got a lot out of this post. Kenneth Fisher (B|T) – provides a security gem you will want to read along with some practical examples of tracking down user perms and AD groups. Russ Thomas (B|T) – provides a nice trick to add to anyone’s arsenal. A simple task that many may not know or have forgotten. Rob Sewell (B|T) – provides a nice take on the “Problem Step Record”; along with providing some reasons why it may be beneficial to start using it. Another good read. Tom Roush (B|T) – provides a great blog post on what #sqlhelp can do for you along with what the community is all about. Captured every essence of community. Jason Brimhall (B|T) – provides some discussion around what he picked up from PASS Summit14 and the use of the debugger; brilliant actually. Malathi Mahadevan (B|T) – provides insight about learning promotion of work, networking, community involvement. This was a nice take from someone who has been in the trenches of attending PASS Summit for 13 years. Boris Hristov (B|T) – provides a thought provoking post. This one struck home with me as I have done exactly what he mentioned. Achieving the ability to arrive at a solution and deliver it in its most simplistic form so others can understand…..stellar and well said. Mickey Steuwe (B|T) – provides a real world example of recovering from a transaction log filling up a disk; you won’t believe where the solution came from! Cathrine Wilhelmsen (B|T) – provides a couple of good examples from some established data professionals around security and notifications. One of the sessions mentioned was one of Argenis Fernandez (B|T) and securing your SQL server. I’ve sat in on that one; stellar post to glean some information from. Maybe it is just me, but these monthly block parties seem to be coming around quicker and quicker as time continues to fly by. My good friend Jeffrey Verheul (Blog | @DefJef) is getting the opportunity to host this month and he wants to know about “SQL Family and the Community”. If you have been around SQL long enough you will find out that the terms SQL Family and Community are mentioned often. For me, and my experiences, it is a close knit group of data professionals that are willing to share their life experiences, everyday issues, problems solving skills, idea bouncing, and much more. I have been involved with SQL for over 14 years now and only the last 4 years have I been active in the community; not because I didn’t want to, but I was not privy to the magnitude of how far the SQL Family and Community reach is. It’s no secret for those who know me. I’m sports oriented; having played baseball, football, soccer, and basketball my whole life and then college basketball I’ve been around team oriented methodologies my whole life. That background has it’s pros and cons, but the disciplines and insights I garnered from those experiences has fit nicely with being a Data Professional. Having those days behind me for the most part (yes I am an avid runner still and do partake in a good game of basketball at times) my team now is the SQL Community. Preparing for a big game you have to look at the whole picture. Countless hours of practice, repetition, running play after play goes into a season not to mention conditioning. The camaraderie built during those times with your teammates enables you to trust them on the court. Guess what, being a data professional you have to be all in. To me that means continuous work day in and day out to help hone your skill set, and part of that work has been working with the SQL Community and Family. The day of the game is here and it’s go time. You look at your teammates (SQL Community) and you are in a huddle right before tip off. The opponent is huge, a foot taller than your tallest guy, yet you are determined. This is what you’ve prepared for. Will you rise to the challenge? You will get assists in your career where you were stumped and didn’t have a clue; then someone from the SQL Community will provide you with that spark that enables you to get over the hump. You will grab that rebound when someone, other than you is stumped, and pick that person up when they need help. You will block that shot when a someone is wanting SA rights to your server. When your number is called to come into the game (becoming active in the SQL Community) will you answer the call? Will you come into the game with an attitude of we got this? Have you prepared? A team is just that; a team. I remember vividly to a point in time when we were in the off season, but conditioning. We had already completed multiple wind sprints and were wrapping up running intervals. Getting to the finish line we looked back and one of our teammates was struggling. He was to the point of running then stopping; did we leave him out there? A resounding NO – the ones that finished ran back out and surrounded our teammate. He was part of our team and no way were we going to let him struggle alone, and hopefully; we could give him the confidence to finish. That to me epitomizes the SQL family and community. 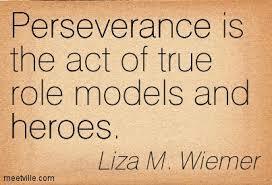 Sure we are a finicky bunch at times, frustration occurs, and we don’t always get along. That happens on every team; however at the end of the day we have each others back. We win as a team and lose as a team. If you are not active in the SQL Community then you are missing out. It’s time; the horn has sounded and the game is on. Time is ticking down; will you get in the game? A saying that a coach told me a long time ago has stuck with me ~ “Somewhere someone is practicing getting better; what will you be doing?” Let’s make this Community the best we can. 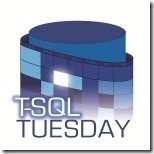 T-SQL Tuesday is a recurring blog party, that was started by Adam Machanic (Blog | @AdamMachanic). Each month a blog will host the party, and everyone that want’s to can write a blog about a specific subject. If you are interested and have been blogging for a bit drop Adam a line. 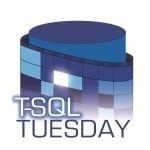 Is it me or does it seem like we just had a T-SQL Tuesday blog party? These days are just flying by! This week Mickey Stuewe (b|t) is hosting and she has brought up a fabulous question about auditing with the topic being Follow The Yellow Brick Road. I have been on both sides of the fence in shops where there has been very limited auditing versus mandated regulatory auditing of their systems – so what’s my preference? Glad you asked; pull up a chair as we travel down the yellow brick road from munchkin land while trying to avoid the wicked witch and her ape like minions. Review of your QA, UAT, and Prod environments (some shops like to audit all 3 some like to only audit Prod) – don’t be the one who audit’s none! These are just a few ideas, but don’t limit yourself to just auditing who inserts or updates data into your systems. As you fly through the house like Dorothy did in the SQL tornado remember to think outside the box some and audit other areas such as growth, baseline trends. The SQL environment is always evolving, use the necessary tools to keep one step ahead of the storm. All right, so I’ve identified what I want to Audit. It seems like it is a daunting task and I have no clue where to begin; that’s where the Tin Man comes into play. If you are a Data Professional then you have to care about the data enough to even be reading this post – – means you have a heart. Whatever avenue you decide to take, just take the stance of doing something. Doing nothing is not something I would advise; knowing who is changing your data, schema, files, etc. is an important aspect of any data professionals life – who knows if you have a mighty Wizard of Oz such as your auditing department or compliance department they might just be thankful for your efforts. When you are going through your own SQL journey on the yellow brick road remember that auditing can be viewed upon as an asset. Look into what you are doing currently, can you improve upon it? Are you doing anything at all? Is your data being protected? Even better do you know if your data is being protected? Take the time to put some safeguards in place in the end you will be glad you did. Wait a minute, wait just a minute. What is this T-SQL Tuesday you speak of. The mighty Wizard of Oz, Adam Machanic (b|t), started this party in 2009. Basically each month on the first Tuesday an invitation is sent out that describes a topic for that month; the second Tuesday bloggers put together a post regarding the topic and then send it back to the person who is hosting. If you have a blog and are interested contact the mighty Wizard of Oz and he’ll get you on the schedule.